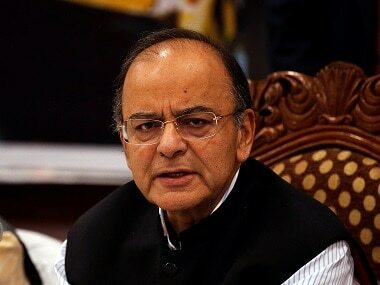 Finance Minister Arun Jaitley has cast doubts on whether the Congress had incorporated in its election manifesto the suggestions on national security put forth by Lieutenant General Deependra Singh Hooda, the architect of the 2016 surgical strikes. When Firstpost reached out to the former Northern Army commander, he made a rather cryptic comment: "It is the Congress manifesto. Why don't you ask the Congress party instead?" The general declined to comment further. 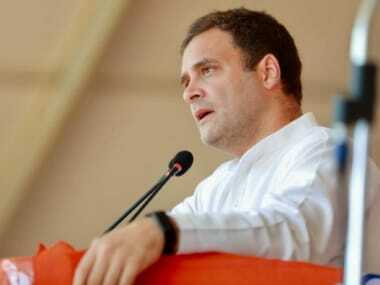 In the 55-page manifesto, the Congress asserted that the whole of Jammu and Kashmir is part of India. "We also acknowledge the unique history of the state and the unique circumstances under which the state acceded to India, which led to the inclusion of Article 370 in the Constitution of India," the party wrote in its poll document. 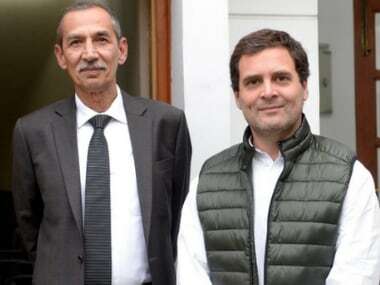 On the Armed Forces (Special Powers) Act (AFSPA), the Congress promised to make suitable changes to the text of the law to balance the requirements of security and protection of human rights. On this, the finance minister questioned whether the party had taken any of Hooda's recommendations or was the committee it had set "only for optics". 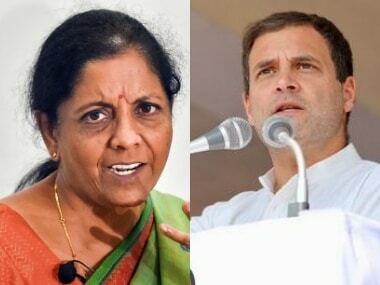 In a Facebook blog post in February, the finance minister had described the appointment of the retired general to Congress panel on national security as "intriguing", saying it showed that the party needed lessons on national security despite being ruling India for half a century. He had also called it a "belated and grudging recognition and acceptance of the surgical strikes of 2016". On 29 September, 2016, the Indian Army had carried out surgical strikes on seven terrorist launchpads across the Line of Control (LoC) in Pakistan in retaliation to an attack on its base in Uri in Jammu and Kashmir earlier that month. Hooda submitted a "comprehensive report" on national security to Congress chief Rahul Gandhi before the manifesto was released. According to reports, the submissions the lieutenant general made were more on the lines of strategic reforms, such as restructuring the armed forces, asserting diplomatic pressure on Pakistan and utilising unilateral military action when necessary. But what the Congress states in its manifesto is reviewing AFSPA and initiating dialogue with separatist Hurriyat leaders in Jammu and Kashmir. Meanwhile, the BJP came down heavily on the Congress' stand on reviewing AFSPA. "Why should it be presumed that the powers of security forces are against human rights? Because of this, the armed forces will lose their morale," Defence Minister Nirmala Sitharaman said, adding that without AFSPA, there is a risk of militants seeking refuge in contiguous areas. Last April, the Ministry of Home Affairs completely withdrew the law from Meghalaya, and last month, it diluted AFSPA in Arunachal Pradesh. But such decisions are made taking the state of insurgency into consideration as well as improved law and order. "AFSPA was totally withdrawn from all areas of Meghalaya from 1 April. 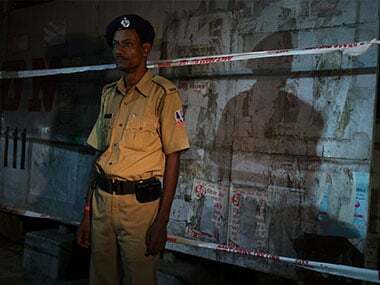 In Arunachal Pradesh, it was brought down from (the jurisdictions of ) 16 police stations to eight," an official said. Till September 2017, 40 percent of Meghalaya was under AFSPA. But after recent review, carried out in consultation with the state government, AFSPA was completely revoked from Meghalaya. In an interview to The Hindu, the lieutenant general had said he had suggested five pillars for a new national security strategy — India's place in national affairs; how Indian should maintain relations with major powers; ensuring security in the region; dealing with Pakistan and China; resolving internal conflicts and "protecting the people".